Sunday, April 7, 2019, 3 p.m.
By Steven Ledbetter, program annotator for the Boston Symphony Orchestra from 1979-1998. Nikolay Andreyevich Rimsky‑Korsakov was born in Tikhvin, Novgorod government, on March 18, 1844, and died in Lyubensk, St. Petersburg government, on June 21, 1908. He composed Scheherazade during the summer of 1888; it was first performed in St. Petersburg under the composer's direction on October 28 of that year. The work is scored for piccolo, two flutes, two oboes (second doubling English horn), two clarinets, two bassoons, four horns, two trumpets, three trombones and tuba, timpani, triangle, tambourine, side drum, cymbals, bass drum, tam‑tam, harp, and strings. Duration is about 42 minutes. During the winter of 1887‑88, Rimsky-Korsakov was engaged in one of his many generous acts of pious devotion to a deceased Russian master: he was orchestrating the opera Prince Igor, left unfinished at the death of its composer, Alexander Borodin. A few excerpts played in concert — among them the overture and the famous Polovtsian Dances — demonstrated the effectiveness of the work. ​ He put off original composition while engaged in this labor of love, but he did manage to conceive two new orchestral pieces, the completion of which was to be left to the following summer, spent on a country estate. They turned out to be among his best-known works. One was based on episodes from The Arabian Nights, the other on themes from the obikhod, a collection of the most frequently used canticles of the Russian Orthodox Church. Both works were finished that summer; the first was Scheherazade, Opus 35, and the second was the overture Svetlïy prazdnik (The Bright Holiday), generally known in English as the Russian Easter Overture. As it happens, they were very nearly the last purely orchestral works Rimsky was to write; for the remaining two decades of his life, he devoted his attentions almost totally to opera. Moreover, they are the last works that he composed with virtually no Wagnerian influence. There was a sudden dramatic change in Rimsky's style the following winter, when he was bowled over by a performance of Der Ring des Nibelungen given in St. Petersburg by a German company. Rimsky's next opera, Mlada, revealed the composer to have been converted into a thorough‑going Wagnerian. The massive collection of tales known as The Arabian Nights or The Thousand-and-One Nights is built on a framework reflected in the orchestral score of Rimsky-Korsakov's musical treatment: the Sultan Shakhryar, discovering his wife's infidelity and convinced of the inconstancy and faithlessness of all women, has sworn henceforth to marry repeatedly in rapid sequence, putting each wife to death after the first night in order to avoid another betrayal. To put an end to this bloodbath, Scheherazade, the daughter of the Sultan's most trusted adviser, seeks to become his wife (even though she had been exempted from this fatal rank because of her father's position at the court). She saves her life after her wedding night by telling a story that captures the Sultan's interest, breaking it off just at dawn, with the promise of continuing it the next night. Each night, as she continues, her story puts out roots and branches, becoming an intricate network of tales, some told by characters within other tales, so that at no point do all the stories in progress come to their conclusion. Each day at dawn the Sultan puts off her execution for another day in order to hear the end of the story first. Of course, The Arabian Nights is much too long a work and much too intricate — in its complex networks of tales-within-tales — simply to be translated into music as a story‑telling program. Analysts and program annotators have expended a great deal of ingenuity in attempts to identify precisely which tales Rimsky-Korsakov had in mind, especially since the traditional movement titles are not especially specific: the introduction purports to represent the stern Sultan Shakhryar (in the opening unison phrase) and Scheherazade the storyteller (in the solo violin); the remainder of the first movement is identified with the sea and the ship of Sinbad the sailor; the second movement is the tale of the Prince Kalendar; the third is simply “The Prince and the Princess”; and the finale is a festival at Baghdad and a shipwreck (quite a combination for a single movement!). But it is vain to seek for specific stories as the inspiration of this music. There is, for example, more than one Prince Kalendar with a story to tell in The Arabian Nights, and, as the composer himself noted, he did not by any means reserve the very first theme — the so-called "Sultan’s theme" — for that grim personage, but rather wove it into the entire fabric of the score without regard to the details of storytelling. It becomes the rolling ocean beneath Sinbad's ship in the first movement, and it appears as an element in the Prince Kalendar's tale, where the Sultan himself does not appear at all. “I meant these hints to direct but slightly the hearer's fancy on the path which my own fancy had traveled, and to leave more minute and particular conceptions to the will and mood of each. All I had desired was that the hearer, if he liked my piece as symphonic music, should carry away the impression that it is beyond doubt an oriental narrative of some numerous and varied fairy‑tale wonders and not merely four pieces played one after the other and composed on the basis of themes common to all the four movements. "Why then, if that be the case, does my suite bear the name, precisely, of Scheherazade? Because this name and the title The Arabian Nights connote in everybody's mind the East and fairy‑tale wonders; besides, certain details of the musical exposition hint at the fact that all of these are various tales of some one person which happens to be Scheherazade entertaining therewith her stern husband." 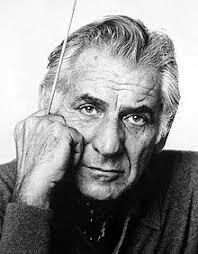 Leonard Bernstein was born in Lawrence, Massachusetts, on August 25, 1918, and died in New York City on October 14, 1990. From its opening night on Broadway on September 16, 1957, West Side Story has been recognized as an epoch‑making show, a touchstone for the musical and dramatic possibilities of the modern American musical theater. Freely derived from Romeo and Juliet translated into a modern urban setting, the story was told especially in innovative dances created by Jerome Robbins for the two rival gangs. Leonard Bernstein's music for the songs and dances provided a score that was unusually unified in harmonic language and melodic motifs. The most important motif is the melodic tritone that opens the show — a signal whistle for one of the gangs; this interval recurs in many of the songs, sometimes left hanging tensely (as in Cool), sometimes resolved to produce emotional pay-dirt (Maria). Jack Mason's arrangement includes many of the show's highlights: I Feel Pretty, Maria, Something's Coming, One Hand, One Heart, Cool, and America. Alton Glenn Miller was born in Clorinda, Iowa, on March 1, 1904, and died in a plane somewhere between London and Paris, presumably on December 15, 1944. 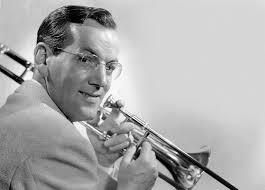 Glenn Miller first made his mark as a trombonist in bands led by Ben Pollack on the west coast, then with Red Nichols and the Dorsey Brothers as both arranger and trombonist. He formed his own band in 1937. By 1939 he was beginning to be known nationwide from regular radio broadcasts. They became one of the best-known and most popular of swing era dance bands. His composition In the Mood was the band's theme song, and like other works of his, it was scored with a rich and seamless sound. He produced many lasting hits which survived his own sad disappearance during World War II, when he disbanded his group and joined the US Army Air Force, assembling a fine dance band to play for the troops. He was 40 when his airplane left London, in bad weather, to make arrangements in Paris for his band's appearance there. The plane never arrived and no trace of it was ever found. But In the Mood has never stopped being played, instantly evoking a mellow swing mood that signaled the Glenn Miller sound. © Steven Ledbetter (www.stevenledbetter.com). Used with the author's permission. This page was last revised on March 21, 2019.